Who would have thought that Crowd Sourced Funding Equity Raising (CSF) would have had such a rapid uptake as a way for small and medium sized businesses to raise capital, especially as it’s so new! Over $22M has already been raised as capital for small and medium sized businesses in less than five months. By anyone’s yardstick, that’s a great success, and the best is yet to come! I find this rapid growth particularly interesting, especially as so many Australian accountants have virtually ignored it to date. Are you guilty of ‘hiding your head in the sand’ on Crowd Sourced Funding or is your firm one of those innovators? Some proactive accounting firms, which took the time to work out how this breakthrough could benefit their SME clients, are now starting to reap the benefits too, with new premium fees. 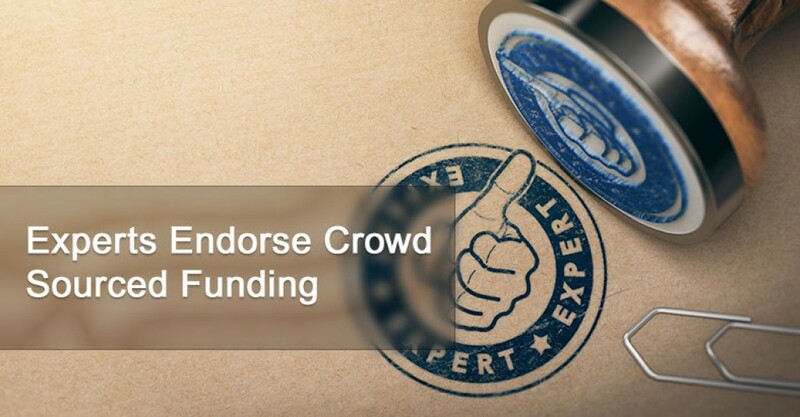 If you haven’t already started to learn how Crowd Sourced Funding Equity Raising can offer substantial benefits, not only for your clients, but for your accountancy firm as well, then you may not be doing yourself any real favours. The good news is, it’s not too late to start to discover what this new form of SME capital-raising is all about, and learn how it can generate new revenue streams for your practice. A word of advice: don’t get left behind. You probably already know that my company, ESS BIZTOOLS, is a major provider of professional information to the accounting industry. Since the introduction of Crowd Sourced Funding Equity Raising back in October last year, our team has been providing detailed research to accountants across the nation. You probably know many of them. Our professional product pack contains, not only extensive training and marketing materials, but the necessary pro-forma documentation that will help you take your SME clients all the way through the funding process. As part of keeping accountants informed, I’ve been hosting regular webinars, with the latest news on developments in CSF, since long before the legislation passed. In my latest webinar, I’ve interviewed four of the ASIC-approved Intermediaries to get an insider’s view of how the funding end of the process is currently working. Intermediaries are essentially the official gatekeepers for the new capital-raising process. There are presently 13 Intermediaries on our ESS BIZTOOLS' Crowd Sourced Funding Intermediaries' Scorecard, which keeps track of the performance of the industry and is included in our professional product pack. One thing that I have found interesting is that, a number of Intermediaries decided to move away from general funding and focus their raising on specific industry sectors. Three are now offering exclusively in each of medicine, agriculture and science. Crowd Sourced Funding is growing so quickly that it now has its own industry association, CFIA. Matt Pinter is the Chairperson of CFIA and the Managing Director of the Intermediary company - Billfolda. Mr Pinter told me that, from an industry point of view, the growth in Crowd Sourced Funding has been substantial. He says Billfolda’s experience shows that small retail investors have indicated a preference for those companies that go out and raise some ‘pre-seed capital’ from people, who already know the company and its operations. Those ‘friends of the company’ are normally employees, existing shareholders, close friends, family and customers/clients. Mr Pinter says those companies often use the s708 legislation to raise capital from fewer than 20 new shareholders to help establish the market value of the company. Once this sort of faith has been demonstrated, the Offer Document is usually more enthusiastically accepted by the marketplace. Billfolda has adopted a policy of taking their fees as equity in the companies, for which they raise funds. My second interview was with Arthur Acker from Equitise, who claims his company is the most experienced Intermediary in the business in Australia. Equitise set up in New Zealand four years ago when CSF was introduced there, and they were up and running in Sydney well before the new capital-raising process was finally legalised in Australia in October. Mr Acker says his company made the first Australian Crowd Sourced Funding Equity Raising Offer early last year, initially raising $2.8M for an all-digital bank. In the second tranche that quickly followed, Equitise raised a further $2.2M for the same bank, bringing its total raise to $5M, the maximum allowed within a twelve month period. Mr Acker claims Equitise has raised capital for 40 SME companies in Australia and New Zealand during their four years of operation. He says to maintain their reputation with retail investors, the Equitise team thoroughly assesses every offer and the people behind it, before going to their investment pool. Alan Crabbe from the Intermediary, Birchal, says some accountants understand the process well, but many still need to get themselves up to speed on how the new form of capital-raising works. Mr Crabbe says that initially ASIC reviewed every document before any offer could be made to the public. While he pointed out that no documents vetted by his company were ever rejected, the corporate regulator used these reviews to streamline the process and make it more efficient. Mr Crabbe says that any capital-raising process is taken very seriously by ASIC and Crowd Sourced Funding is no exception. While most of the Intermediaries will consider Offer Documents across all industry sectors, several have now decided to become specialists by only raising capital for specific industry types. Matt Hinds’ AgCrowd is one of those. AgCrowd has its focus set firmly on agriculture and energy, and is building its investor pool with retail investors, who are specifically interested in supporting those sectors. Mr Hinds told me his company has been assessing a number of potential offerings and is very close to launching their first listing. He says by raising capital under the new rules, AgCrowd will be helping to create innovative companies that are shaping the World’s sustainable future. Mr Hinds says all applications to his company are thoroughly vetted with a focus on them delivering both financial and social returns. The clear message that is coming out from the heads of all these Intermediary companies is that skilled, professional work is required by accountants in the preparation of the Offer Documents and supporting information. It’s clearly not just a ‘rubber stamp’ process. Your expertise as an accountant will be vital to ensure your SME clients' Offer Documents are accepted by the Intermediary and properly funded. The ESS BIZTOOLS' pro-forma documentation is designed to help ensure that process runs smoothly for you. You’ll find the full interviews with the CEOs, which are included in my latest webinar, detail the thinking behind the Intermediaries’ approach to the new capital-raising process and how your accountancy practice’s input is going to be critical to the success of your client’s capital raise. That’s a major plus for them. It helps their cashflow and provides capital for them to fund expansion. I believe it’s a major move forward for the small and medium-sized sector, and perhaps the most important business innovation for a generation. Take some time to watch these interviews in full during my webinar on Wednesday, 27 March 2019. Click here to register. I’m sure they’ll peak your interest to want to learn more about Crowd Sourced Funding Equity Raising. Everything you’ll need to know and the pro-forma documents you’ll need to get your clients from an initial interest to the Offer Document, are in our product pack, which is summarised at our website – ESS BIZTOOLS - Crowd Sourced Funding Product Package - Learn More. Naturally, it’s fully backed by the ESS BIZTOOLS' Full Money Back Guarantee. we will gladly refund your subscription. It’s completely risk free. I think you’ll get real value for the time you’ll invest learning about Crowd Sourced Funding Equity Raising. To gain an overview of what is included in the ESS BIZTOOLS’ Gold Package. Please contact us for further information. Watch out for the next episode of "Accountant's Minute" or subscribe to the podcast on iTunes for more news, ideas and tips on providing outstanding non-compliance services to SME clients. Latest business advisory news for Accountants in under a minute. As their trusted advisor, can you assist your SME clients with business advisory services?